Patients receiving chemotherapy, IV therapy or other outpatient treatments have the option of getting their treatments close to home. Burgess Health Center provides convenient access and comfortable surroundings for your outpatient therapy. Our outpatient treatment center offers a healing environment with greater comfort for patients who sometimes spend several hours receiving therapy. The furnishings and televisions for each treatment room help pass the time more quickly. There is also an area for your family and friends to sit and visit. Burgess nurses and staff work with your healthcare provider to manage your care and ensure proper treatment and progress. The advantages of outpatient treatment are freedom and convenience. Receiving treatments on an outpatient basis allows patients of all ages to maintain a more flexible routine and schedule. 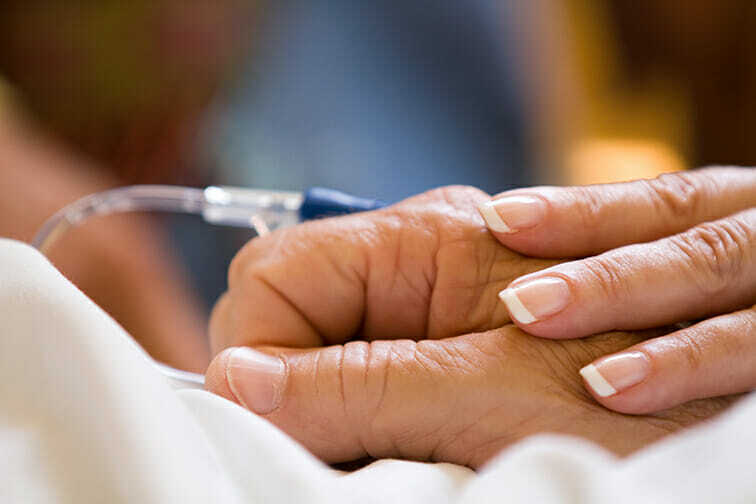 Chemotherapy to fight the recurrence of cancer may be provided to cancer patients living in the region regardless of where their family physician or oncologist practices. This enables cancer patients to receive a portion of their therapies near their homes. The Burgess oncology nurses are trained to provide chemotherapy services. Our skilled, caring nurses monitor you for comfort and manage possible side effects that may develop while implementing your treatment.